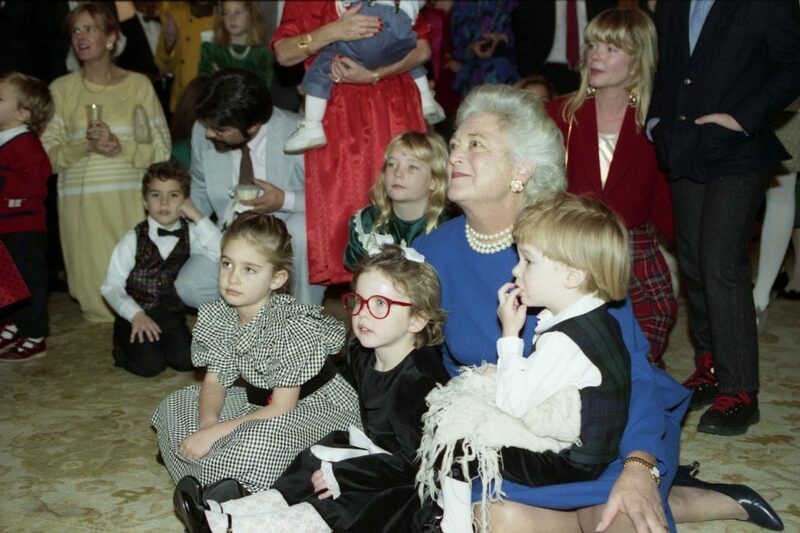 The country knew Barbara Bush as the wife of one president, the mother of another. During her time as first lady, she became an unwavering advocate for literacy, and, for many years, was seen as the grand dame of the Republican Party. With her pearls and shock of white hair, she was dubbed “everyone’s grandmother,” and often kept silent on political issues, deferring publicly to her husband, George H.W. Bush. In a new book, Susan Page of USA Today peels back this public persona to reveal a complicated woman — and argues Barbara Bush’s influence on the country was far greater than anyone acknowledged. Diane talked to Susan about her book, “The Matriarch,” at a live event at Politics and Prose bookstore in Washington D.C.
Susan Page Washington bureau chief, USA Today; author of "The Matriarch: Barbara Bush And The Making Of An American Dynasty"